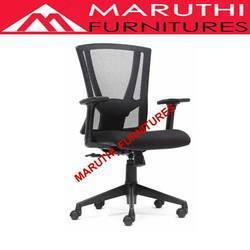 As a prominent Mesh Chairs manufacturer & supplier, we offer an ideal option for office seating and modern home-office furniture. 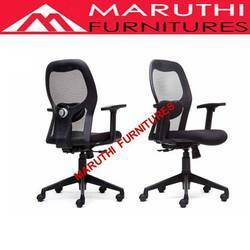 These chairs possess ergonomic and comfortable features that suit the perfect needs of customers. As a result, our Mesh Chairs help keep employees comfortable at work, and this also make them more productive which creates a great business sense. 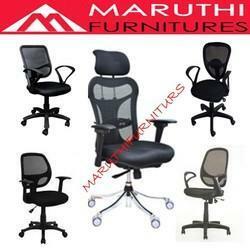 These ergonomic chairs are offered in very affordable prices, as well. 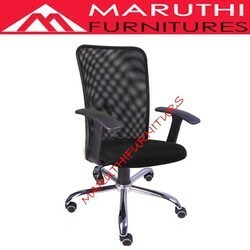 Optimum comfort and durability are the core concepts of our entire array of Mesh Chairs. This array covers a large variety of design, color and size. 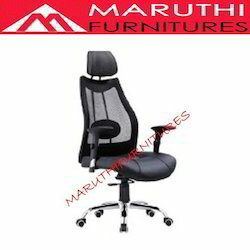 Knitted High back mesh chair with head rest with pneumatic height adjustable and arm rest. Fiber base with wheels. Netted cushion seat with black colour fabric upholstery. 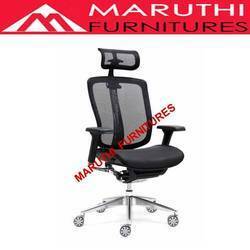 Knitted High back with head rest mesh chair with pneumatic height adjustable and arm rest. Fiber base with wheels. Molded cushion seat with black colour fabric upholstery. 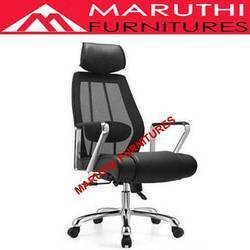 Executive chairs is another range of Revolving Chair we manufacture. 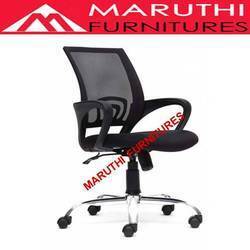 The raw material used to manufacture these executive chairs is of superior quality ensuring durability of the chair. 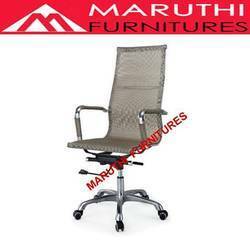 Catering to the need of furniture industry, residents, hotels, offices and schools these chairs provides absolute comfort to the occupant. 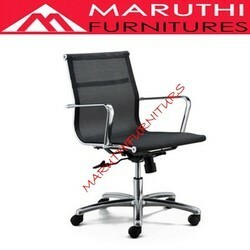 These executive chairs are designed with precision and excellent finishing to suit the interiors of the workplace. 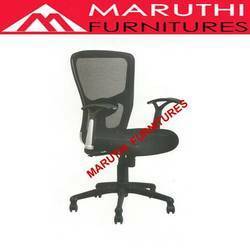 Knitted medium back mesh chair with pneumatic height adjustable and arm rest. Aluminuim base with wheels. Seat and back rest Ms chrome netting look. 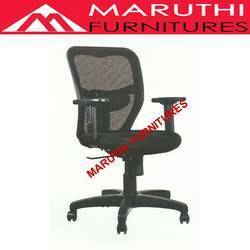 Knitted medium back mesh chair with pneumatic height adjustable and arm rest. Fiber base with wheels. Molded cushion seat with black colour fabric upholstery. 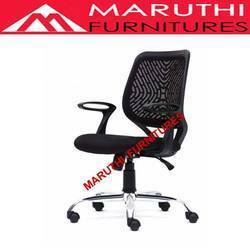 Knitted Low back mesh chair with pneumatic height adjustable and arm rest. Fiber base with wheels. Molded cushion seat with black colour fabric upholstery. 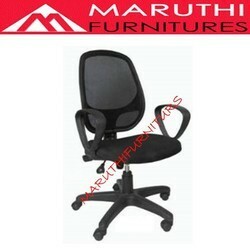 Back rest : MS frame with Netted look. Seat : Plywood with Moulded cushion fabric finishing . Hydraulic hight adjustment with nylon base wheels. 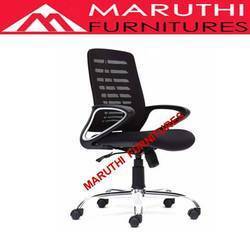 Our organization is topmost provider of Rolling Chair to our clients. 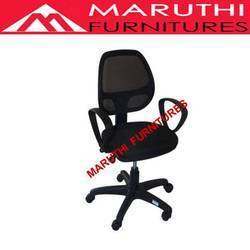 This has been manufactured by our vendors using high grade material which comprises of plastic and has adjustable base. 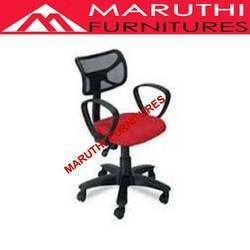 The height of Rolling Chair can be easily adjusted as per the requirements. This Rolling Chair is available in different dimensions. 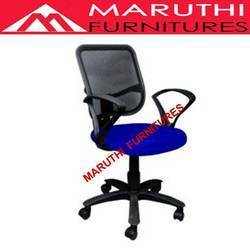 It is offered to our clients in best range. Most importantly, we deliver this within stipulated time frame.